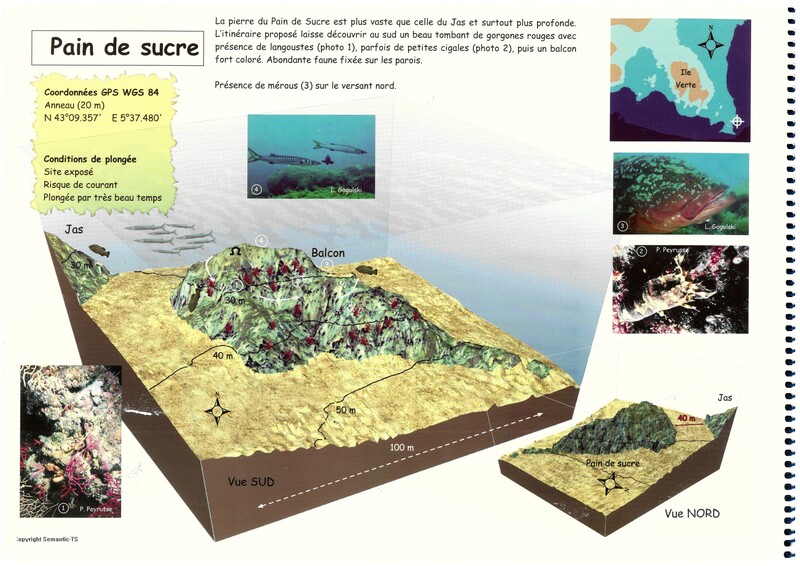 Pain de sucre : Diving conditions :exposed site , strong current , dive only in good weather conditions. For experienced divers. The stone of the Pain de sucre is larger and deeper than the Jas’s stone.The south itinerary along a beautiful red gorgonians drop-off is full of lobsters (photo1) and sometimes small slipper lobsters.Itis followed by a high coloured balcony on which a huge quantity of fauna is fixed .Groupers in the North.